The science and research facilities at NYU Langone Medical Center were recently devastated by the events of Hurricane Sandy. Many of the labs have been completely destroyed, as well as much of the equipment and materials lost due to power outages. We have set up this page as a way to help support the recovery of the medical and scientific professionals at NYU. For this project, we are waiving our normal processing fee. Our goal is not strict, whatever we manage to raise will go to NYU. 100% of the funds will go directly to NYU researchers as a gift. 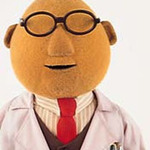 Dr. Bunsen Honeydew is the Principal Investigator at Muppet Labs. 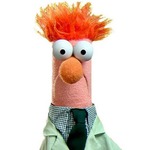 He is fascinated by the world on a molecular level, and holds a Ph.D. in biochemical engineering from the Henson University. A huge THANK YOU from NYU Langone Medical Center!